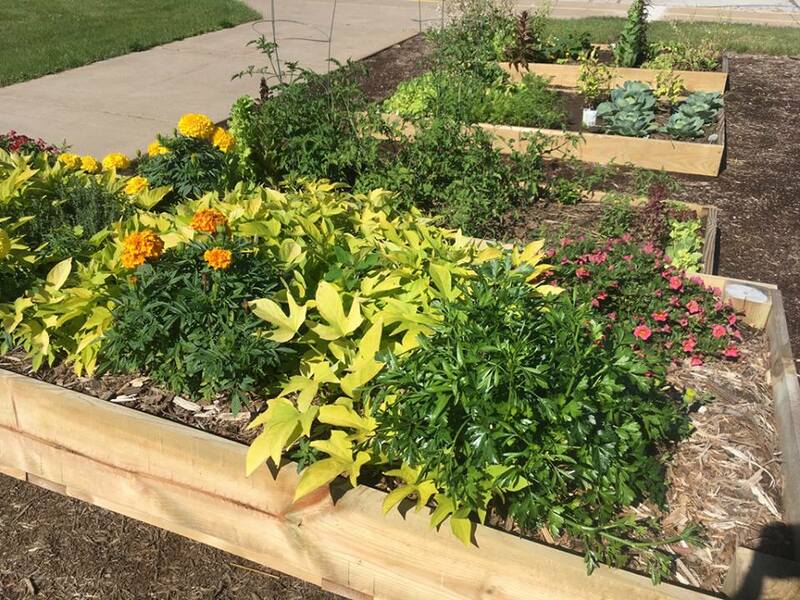 Manawa School District school garden is a collaborative project of school and community partners. 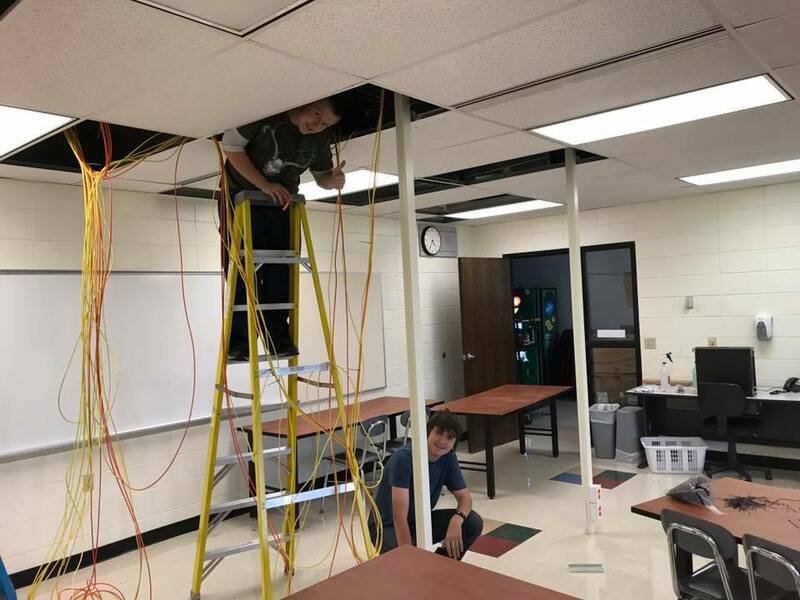 Students helping create the new STEAM Engineering Computer Lab! 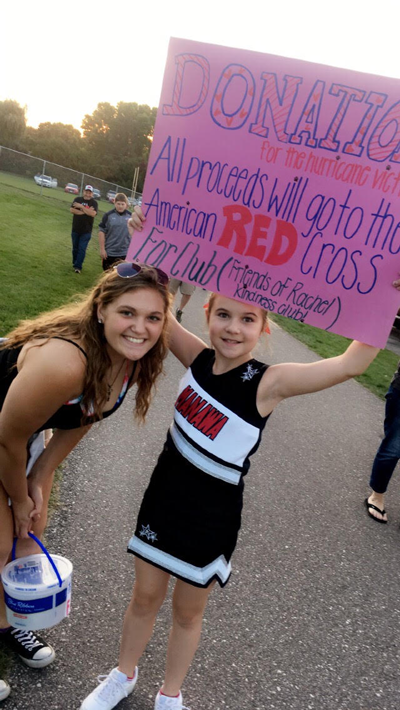 Members of the FOR Club and Girls Basketball collected donations for Hurricane Relief this week. 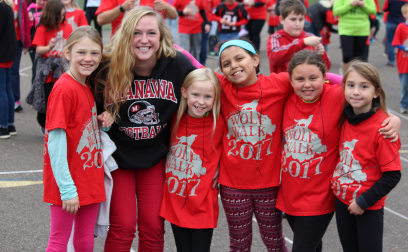 Wolf Walk 2017 was a big hit. Students, families, and staff enjoyed a walking for a good cause! 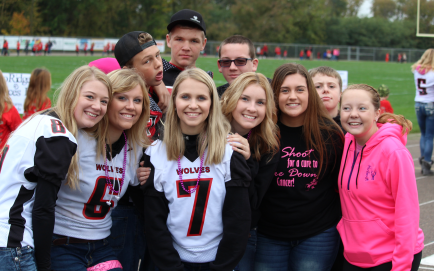 The Wolves football team supported Think Pink for cancer awareness at the final home game. S/O to the Packers for the pink glove donation! In October Dr. Oppor filmed a virtual tour of the former elementary school. This video shares the state of the building. 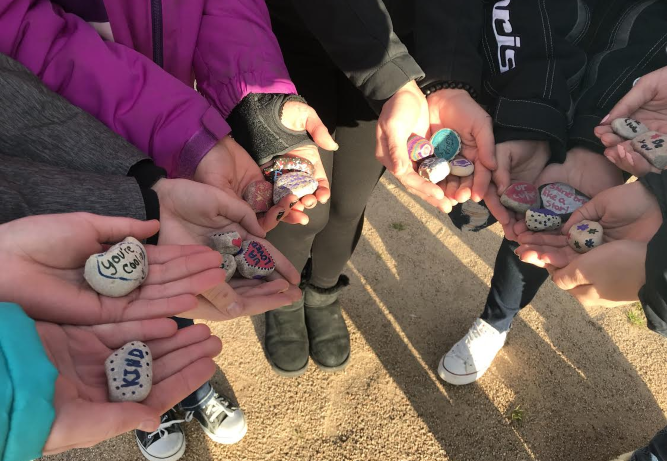 The 7-12 FOR Club members have been working hard on creating kindness rocks to hide around the MES campus. 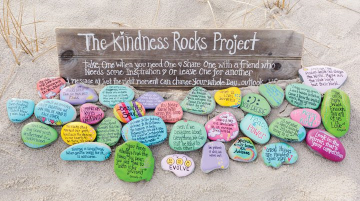 The rocks are decorated with positive comments, pictures, etc. The idea behind this project is to not only spread kindness but also make someone smile when they find one. FFA students were recognized by board president Joanne Johnson for attending the FFA Convention in October. They were Megan Pethke, Brooklynn Wepner and Zachary Kriesel. 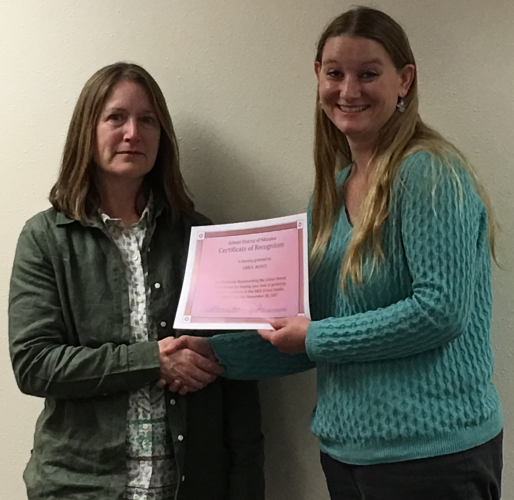 Carol Wortz was recognized at the Monday evening board meeting for successfully implementing and caring for the MES Garden Project. 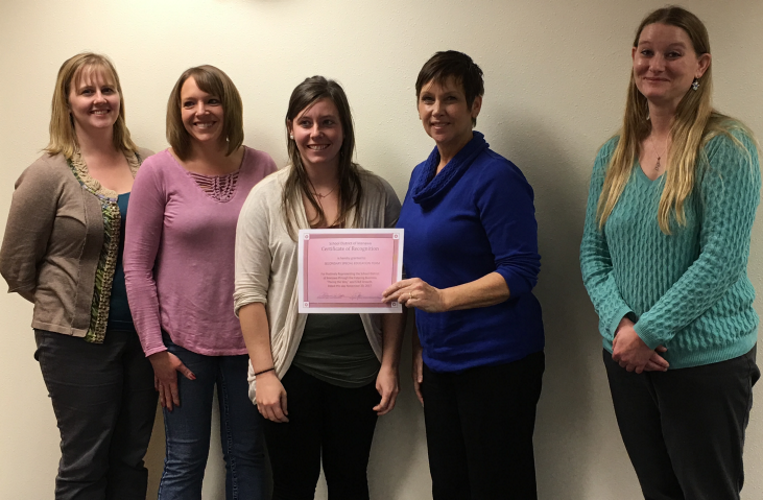 Secondary Education Team members were also recognized at the board meeting on Monday for their efforts with Paving the Way, the catering business and STAR growth. 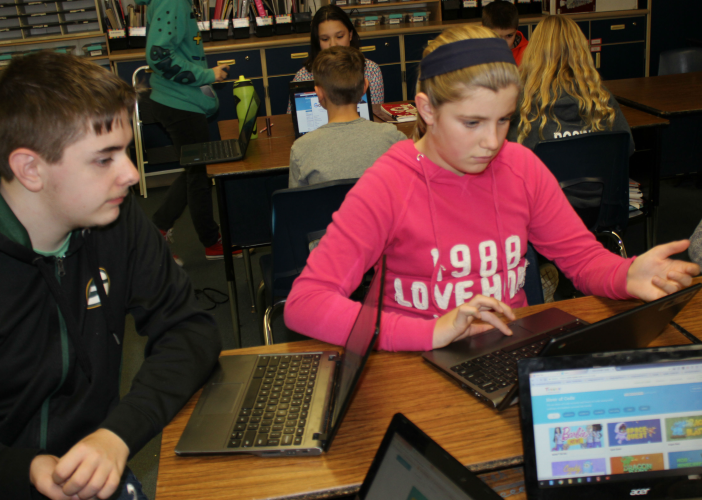 Mrs. Hraban's Gaming and Animation class went to MES to teach 5th graders Hour of Code games. 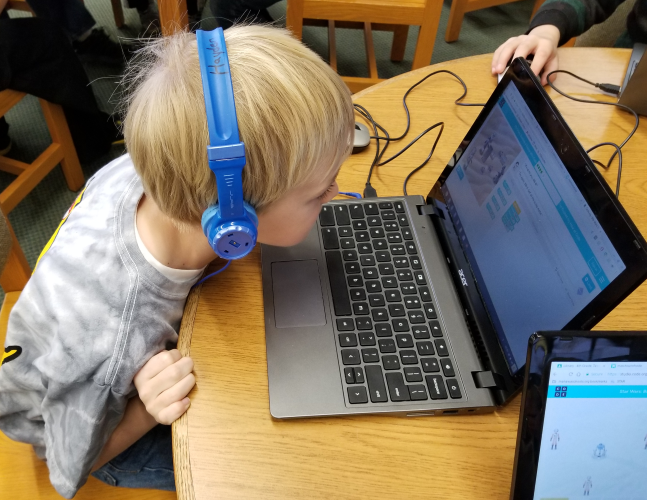 Coding has become a demanding skill in industry. The opportunity for the high schoolers to share this is very exciting and reassuring that these skills will be passed down. 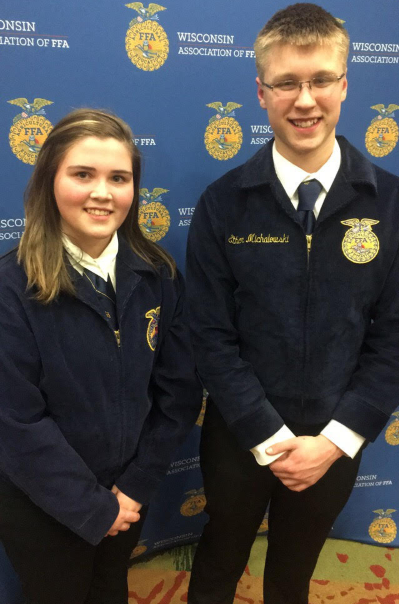 FFA officers Callie and Ethan represented Manawa at the Wisconsin FFA Halftime Leadership Conference in Stevens Point. 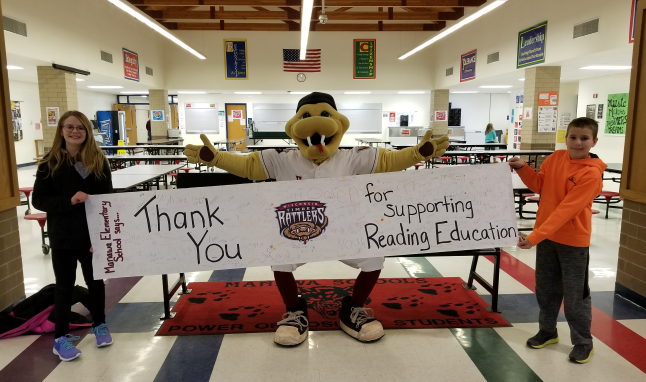 MES welcomed Fang this afternoon to kick off the Fang Reading Challenge!! Don’t know what to do with old eyeglasses? 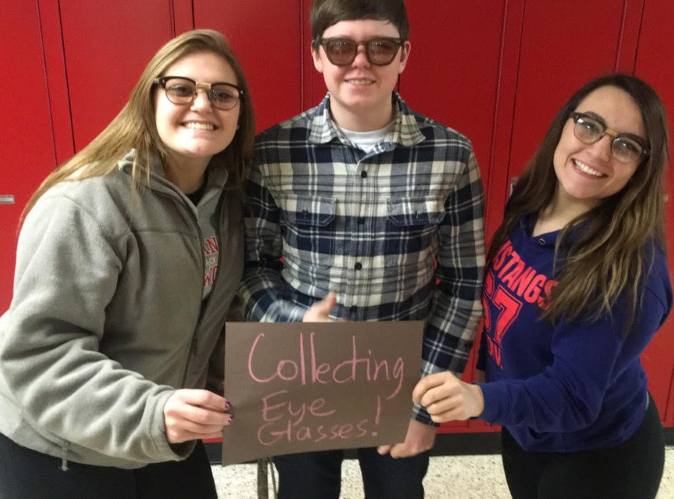 Drop them off at Little Wolf Jr/Sr High School for Manawa FFA to donate to the Lions Recycle for Sight program! Some of Ms. Meier's third grade students help Miranda Paul tell her story "Ten Little Ninjas". 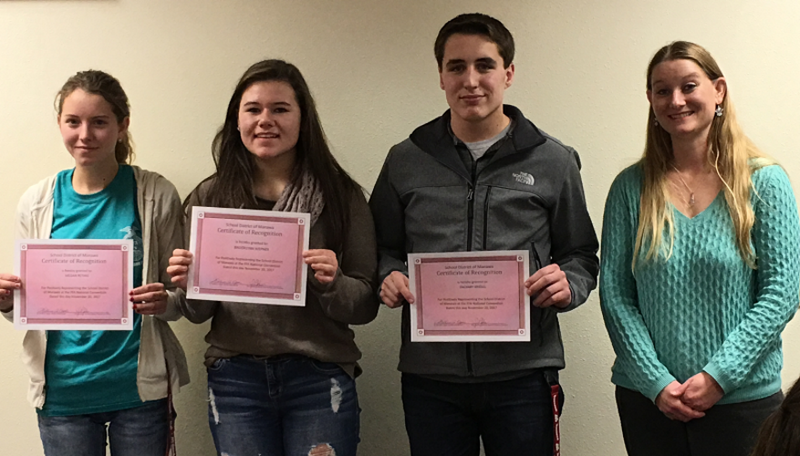 Three members of the Manawa FFA represented the chapter at the district level as participants in the FFA Leadership Development Event (LDE) held at Weyauwega-Fremont High School. Ethan Michalowski (Discussion Meet) received 2nd place overall and will advance to Sectionals in March. Placing but not advancing were Kayla Loughrin (Creed) and Matayah Pethke (Employment Skills). 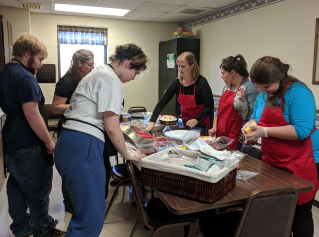 Leadership Development Events focus on creating situations for members to demonstrate their abilities in public speaking, decision making, communication and their knowledge of agriculture and the FFA organization. Events are used to reinforce what is taught in agricultural education classrooms. came in 2nd in Critical Thinking, 2nd Overall, and 1st in Quiz Bowl. Individually, Brittany Besaw, Jared Buschke, Thompson Moser, Jemimah Swanson, Maquelle Moede, Devin Loughrin and Kathleen Phelan earned TWO 1st&#39;s each, and Ally Rae, Sylvia Much, and Jamie Buschke earned ONE 1st each. All 1st place positions will continue to State Competition in Madison on April 13. Thanks to Mrs. Zabler and congratulations to our talented Art Team, and good luck at State! 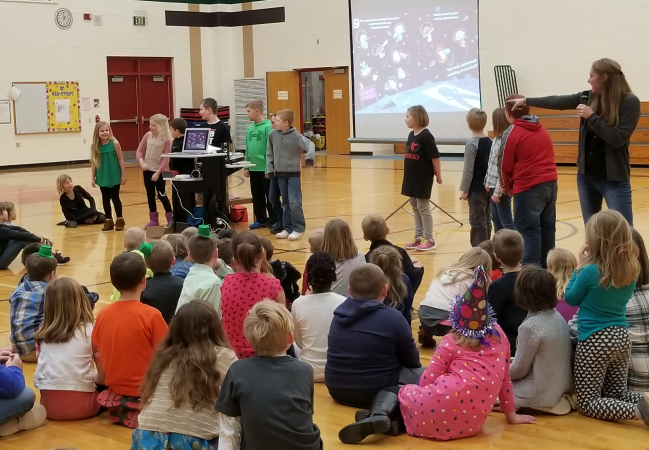 Matayah Pethke, Ethan Michalowski, Bryce Millard, Sami Struzynski, Megan Pethke, Macy Krenke, Zach Teuscher, Lexi Pirk, Skye Ferg, Morgyn Zielke, and Ryan Schuelke. Special thanks to all who support the Manawa FFA.